Wipe cleanly without water. 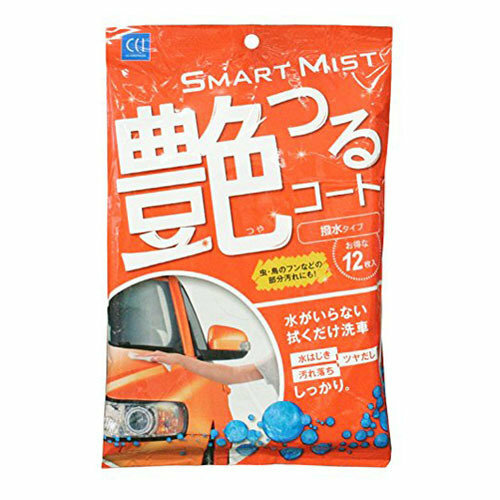 Wet wipes that not only removes dirt but also restores coating of the car body. It safely removes dirt, marks from insects, bird droppings and so on. Restores repellency and extend wax coating life. 1. Take out the wipe from the pack. ※ To prevent the contents from drying out, close the transparent seal of the package right after use. 2. Wipe the car body lightly. ※ When the surface of the wipe become dirty and dry, please use another one to prevent scratches. ※ When unevenness occurs, please wipe with a clean wet wipe. ※ When using for the whole body, use 3 to 4 wipes. It may differ depending on the size of the vehicle.